Rib Steaks are filling, so let's get grilling! 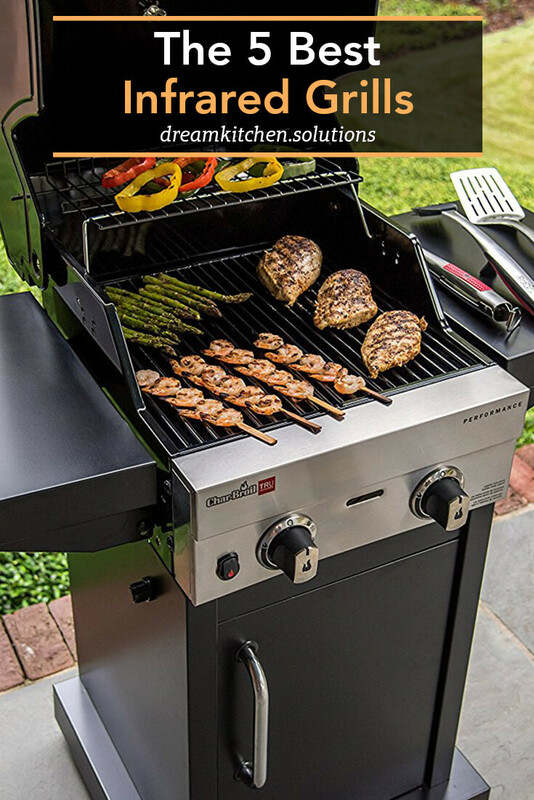 Whether you want to spend less time in the kitchen and more time with your guests, or you want a quick and easy patio cook-out, the relatively recent technology that is the infrared grill solves all your problems, giving you tasty, healthy, well-cooked food quickly, easily, and safely. Infrared grills make an ideal addition to a patio or apartment balcony, and are great for outdoors types who like to cook their catch on the go. Offering easy-to-use, space saving additional cooking, they are the must-have accessory for those who love entertaining, but have limited conventional oven space. 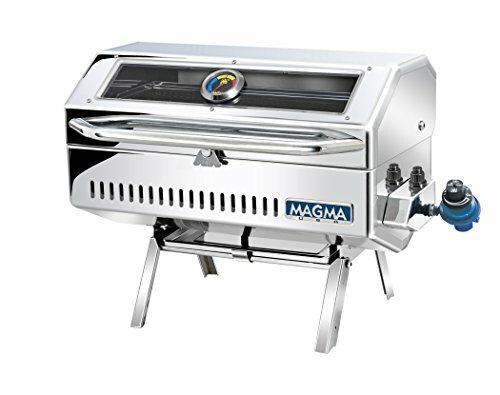 Ideal for meat joints, fish, shellfish, and even rotisserie-style vegetables, there's an infrared grill to suit every budget, household, or need. So, read our reviews, find the grill that's right for you, and get ahead of the trend! 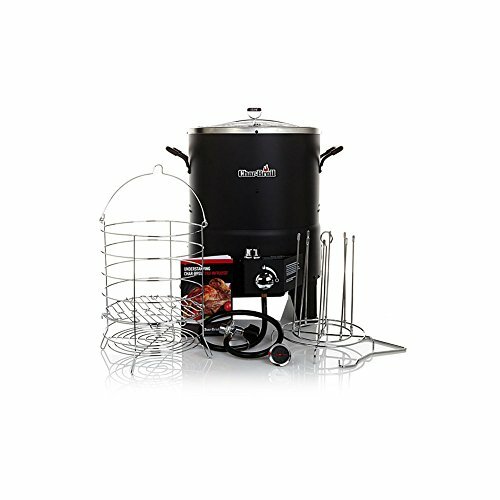 The Char-Broil Big Easy offers you the ability to grill, roast, or smoke your food, all in one handy, convenient, efficient machine. There's no spit rod to balance, no risk of flare-ups because of shifting temperatures, and food cooks through without drying out. That means you can enjoy a perfect, succulent roast, or fantastic fresh fish easily and safely. Presented in stylish black, The Big Easy comes with a propane burner, and offers 16lbs of roasting capacity, making it simple, stylish, and practical – it's everything you need and want, all in one sophisticated package. Without a doubt, The Big Easy is the best infrared grill from the Char-Broil range, although it may not be the best for cooking on the go, as the design is more suited to patios and decking than campfires and fishing boats. The Newport 2, from Magma Products, offers a tempered glass viewing window, so you can have the experience of dining out in the comfort of your own home. You can use either propane canisters with this grill, or it adapts to on-board LPG or CNG systems. The stylish, stainless steel design offers impressive aesthetics with practical functionality, including fold-away table top legs, for easy storage and go-anywhere functionality, and an hermetically sealed thermometer, meaning you can easily control the grill's heat settings. The Newport 2 is built to withstand the elements, meaning that, whether you're having a patio cookout, or cooking the catch from your fishing trip on the return journey across rough water, you'll get perfect, evenly-cooked meat, with no flare up thanks to the infra red anti-flare technology. While this infrared grill does tend to produce a lot of smoke from dripping, many would say this only adds to the overall cookout experience, and the eventual flavor of the meat. However, it is something to bear in mind, particularly if you live in an area which has strict regulations about smoke from outdoor cooking. The Char-Broil Performance offers fast, even cooking, with no flare ups, in a long-lasting, durable infrared grill. It comes with a double burner feature, with each burner benefiting from its own temperature gauge. This makes it ideal for cooking surf 'n' turf, as the meat and fish can be cooked separately but simultaneously. Much better than having to wait for the meat to finish before cooking the fish, and risking ending up with either slightly cold meat, or, if you brought the meat back up to temperature whilst cooking the fish, running the risk of overcooked, tasteless fish. The downside to this increased functionality is that the Char-Broil Performance can easily clog if you don't attend to the cleaning of it after every use – however, this is easily overcome by simply being prepared to give the grill a thorough wipe-down once you're finished cooking. It can be a little difficult to assemble, although there are plenty of people who will assemble things like this for you - for a small fee. 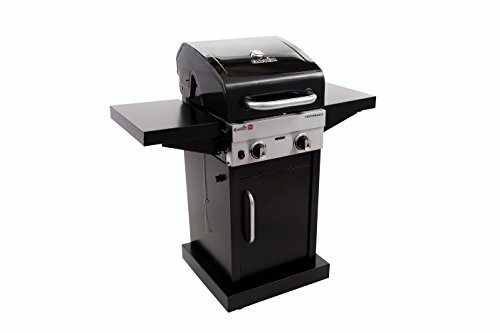 Finally, and also from Char-Broil, is the Tru Patio which is ideal for small spaces, heats up quickly, and offers the space to cook up to a dozen hamburgers, depending on their individual size, all in a stylish, portable, and compact space – perfect for smaller patios, or slightly larger apartment balconies. Mounted on wheels, you can easily move it around, offering you the opportunity to serve your al fresco guests where they sit, and it comes in a striking red, adding a splash of color to any patio. It becomes the focal point of your party. The Tru Patio features porcelain coated cooking grates, which are rust-resistant, meaning your grill should last for several years, even if kept outside. 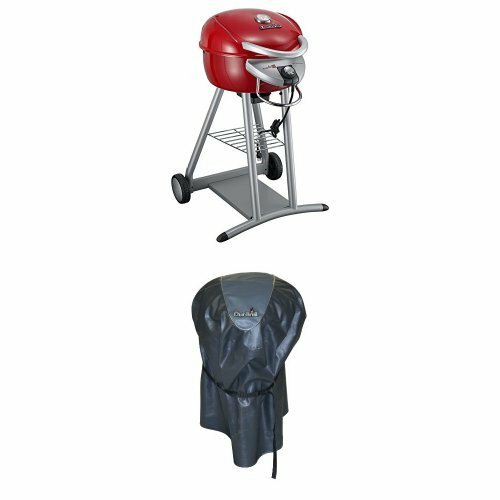 However, as with all compact cooking equipment, the Tru Patio can be difficult to clean, and, in common with all outdoor barbecue-style cookers, it is difficult to hold the temperature with the grill lid open, meaning you either have to risk regular temperature drops, and under-cooked food, or be able to know immediately when to shut off the grill and bring the meat out so it doesn't burn. Infra-red grills can sound a lot like a traditional barbecue, so you may well be wondering “why not just stick with the tried and tested, and save myself a few bucks?” Well, because they produce very little, if any, smoke, infra red grills are better for the environment, better for neighbor relations, and the only real option for areas which have regulations limiting smoke emissions. Also, it's difficult, and sometimes dangerous, to take a barbecue on a fishing or camping trip, and often impossible to use them anyway if the weather is bad – not so if you buy the right infra red grill! Infra red grills are stylish, practical, space-saving and safe, and offer you the opportunity to spend time with your guests, rather than in the kitchen, whilst being safe in the knowledge that you'll get well-cooked, tasty food every time. Rather than thinking of infra red cooking as “new and untried”, think of it as the future – and try it before anyone else!